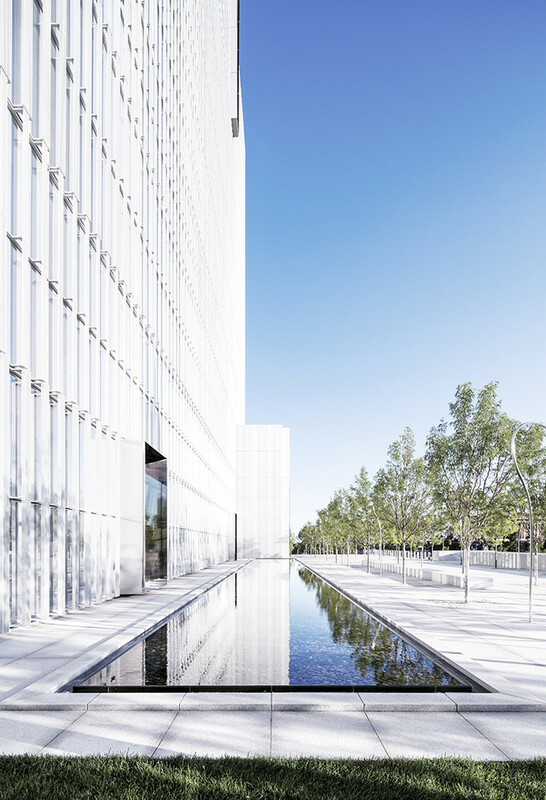 For the design of the United States Courthouse in Salt Lake City, architects Thomas Phifer and Partners wanted to create a design that reflected the strength of the judicial system. 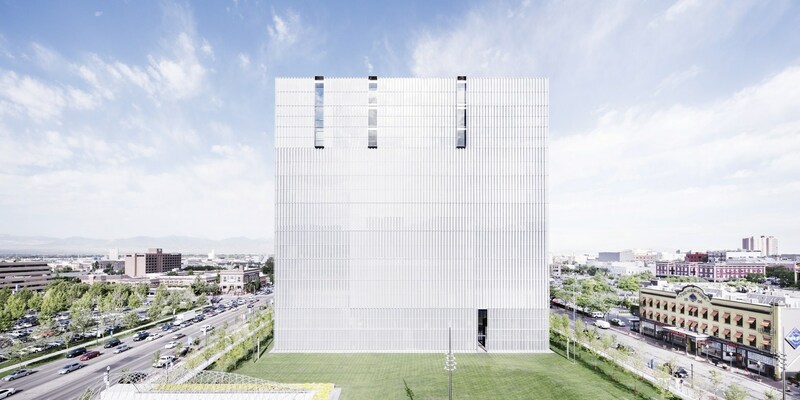 The design of the new United States Courthouse in Salt Lake City emanates from our search for a form that is strong, iconic, transparent, and metaphorically egalitarian as a symbol of the American judiciary system. 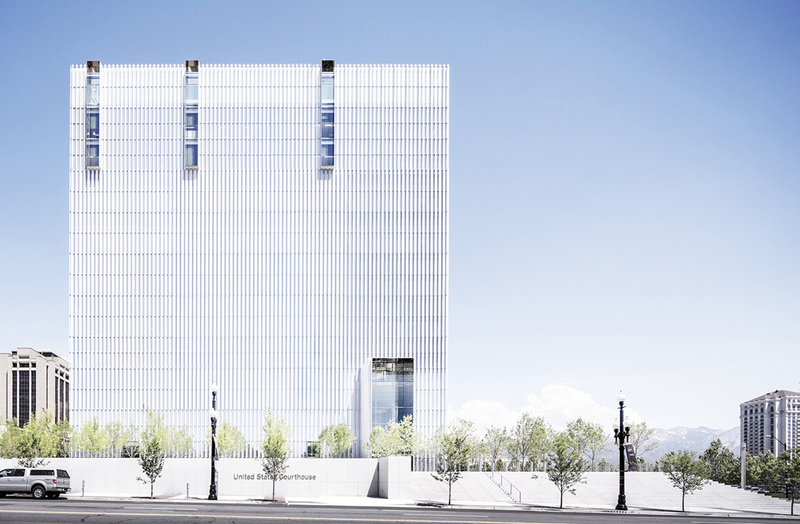 The resulting cubic mass of the new courthouse, like the monumental buttes of southern Utah, is just such a primary form, projecting grounded dignity, immovable order, and an equal face to all sides. The 400,000 square foot, 10-story courthouse resides in a garden setting on a level terrace encompassing the entire city block including an existing, historic Federal Courthouse. This garden terrace unites the two courthouses in a public-access amenity for the downtown area of Salt Lake City while establishing a required federal security setback from the street. The building contains ten courtrooms for the District Court of Utah, fourteen judges’ chamber suites, administrative Clerk of the Court offices, the United States Marshal Service, United States Probation, and other federal agencies. Courts parking and service for both new and existing courthouses occurs on two underground levels. Eight future courtrooms can be accommodated within the constructed volume by office relocation. The main public entry occurs on West Temple Street, linking the courthouse to the civic core of the downtown area. The building’s encompassing glass and aluminium façades expose the life of the courthouse to the city while providing expansive views from the public and office spaces within. 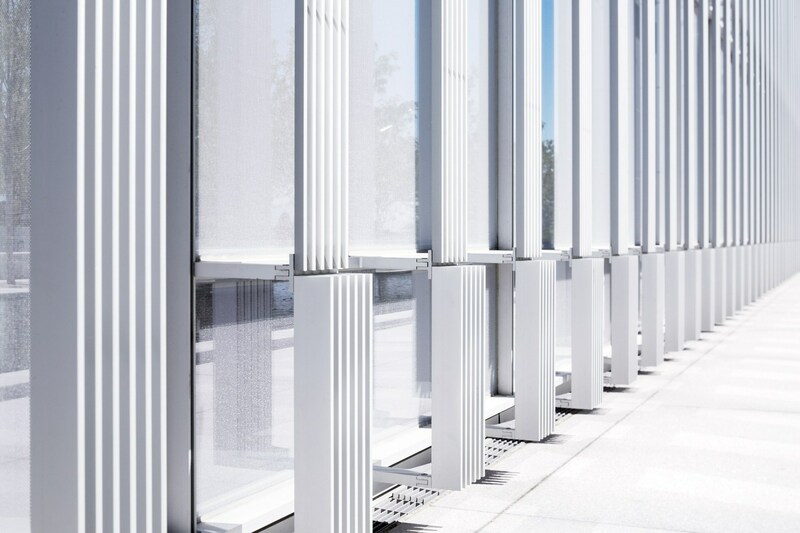 A quilt-work pattern of exterior, vertical aluminium sunscreens tempers this transparency with a variable, protective veil that changes quietly with the solar orientation and the interior use. 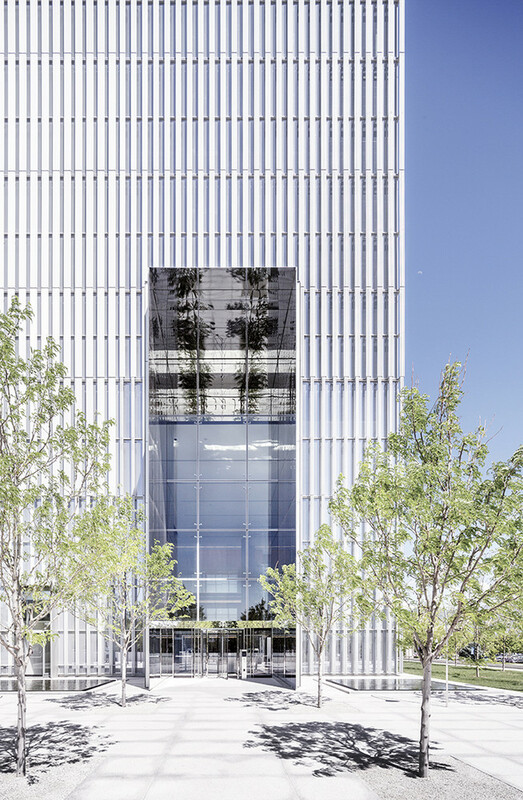 The softly reflective anodized finish along with the crystalline transparency of glass accentuates the distinctive quality of natural light in this pastorally urban setting as the sun passes over the luminescent Wasatch Mountains and across the Great Salt Lake. This LEED Gold building, in its interior planning, celebrates daylight as an intrinsic quality of both public and individual space. The three-story main entry lobby occupies the southwest corner of the building serving as a beacon to the two primary streets and marking a cornerstone of the broader downtown area. 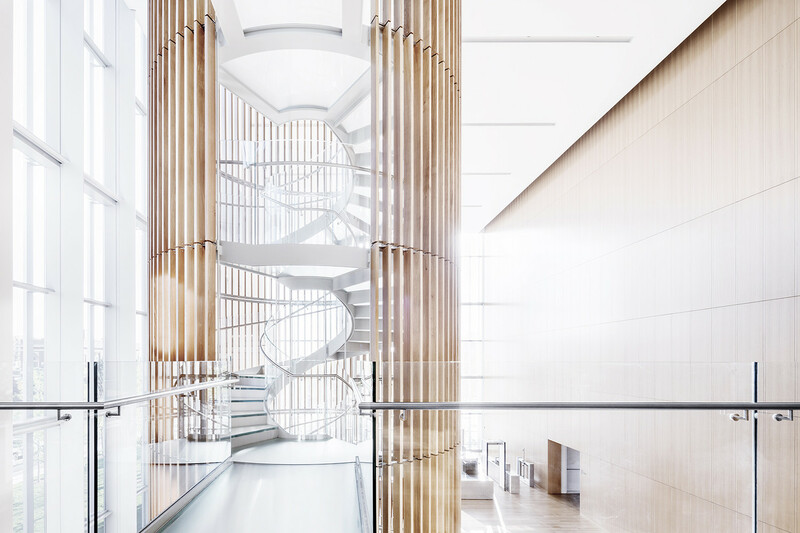 In the core of the building, a sky-lit atrium extending the height of the building brings natural daylight to the centrally located public elevator lobbies. This atrium will contain a 10-story sculptural glass art installation by the renowned American glass artist James Carpenter that further siphons natural daylight into the space. From here, public waiting areas extend north and south to the building perimeter creating a light-filled central axis. 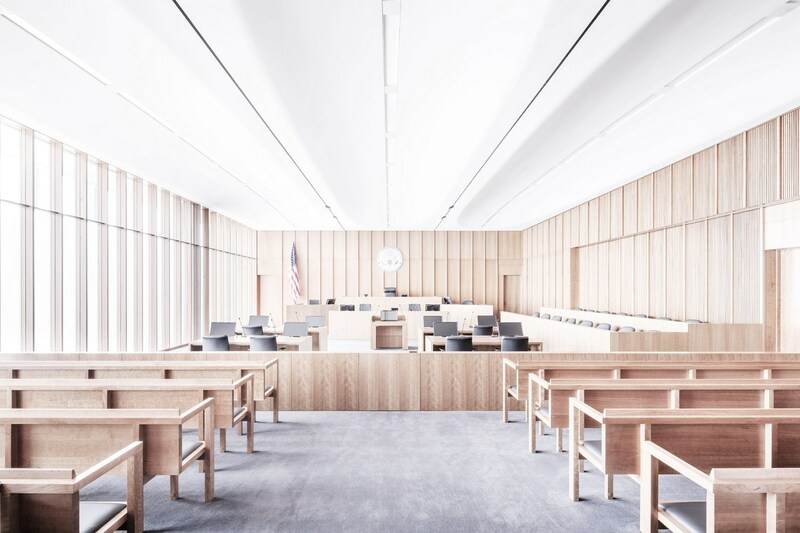 The primary functions of the building – the courtrooms – occupy the four corners of the building, bathed in filtered natural daylight, bringing clarity and context to the proceedings within. The new United States Courthouse in Salt Lake City strives to embody the ideals and aspirations of the American judiciary system – clarity of order, transparency of process, fairness of disposition and timeless relevance – in a building that invites participation, illuminates its civic purpose, and celebrates the extraordinary qualities of nature that characterize this region.